Paul Penders Time-Release Jasmine Shampoo took over two years to develop and is still the only time release shampoo available in the world. It is designed to first cleanse the scalp, ensuring a healthy foundation for beautiful, shiny hair; then form a thick lather to cleanse the hair itself. When first applied to the scalp, Paul Penders Time-Release Shampoo gently removes dandruff and debris from the surface of the head. Because the scalp is not exposed to harsh surfactants that can leech moisture, it remains nourished and healthy. As more water is added, this unique Time-Release formulation “breaks open” and creates gentle foam for cleansing the hair. This ensures a shiny hair and a healthy scalp. After washing, the hair is full and luxurious, without the fly-away effect created by some other shampoos because of the use of harsh detergents that strip away the hair’s natural protection. 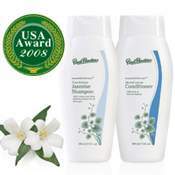 Paul Penders Time-Release Jasmine Shampoo is based on olive oil as a cleansing agent and contrary to mass produced chemical shampoos, this shampoo foams only minimally. For those who like the feel of foam, the hair can be washed a second time with only a minimum of shampoo applied and foam will appear. By the way, I have just discovered Paul Penders Time-Release Jasmine Shampoo and Conditioner and have been using it for about 6 weeks now. My hair is in the best condition it’s ever been and no longer looks a mess at the end of the day. I now move heaven and earth to find this product if I don’t carry enough with me when I’m travelling. Thank you so much. It is always a pleasure to hear from you, Susan. To view all the ingredients in this unique, all natural organic Time-Release Shampoo – and in the Conditioner – click here and then click on “View ingredients”. New certified organic statements are being created by several cosmetic companies these days – and in an overwhelming manner. It is becoming more and more important for many cosmetic companies to communicate to the consumers what the company stands for when it comes to being “certified organic”. You could call it to create a profile, or to create a certain image of the company in the mind of the consumers. Talking about Paul Penders Company, I believe that our daily Blog and our monthly Newsletter is doing a great job when it comes to defining what Paul Penders Company stands for in this important organic matter. We truly believe in natural organic cosmetics that are holistically produced with certified organic ingredients. Ingredients that are certified even by USDA approved certifying bodies. But – and now I am referring to the current discussion in the press – why do these products suddenly need to be approved by a third party? Are our products not already known for being of the highest quality and standard when it comes to natural ingredients? And this for 40 years! With the Paul Penders products, we wish to reach out. To touch the heart of consumers with products made with the greatest care and the deepest respect. To inform the consumers about us and about our products, we try to keep focus at all levels of the company in terms of how we present ourselves and our products to the consumer. We believe a company can have a soul. We can discuss whether a heart would be better for a company than a soul, but when all comes to all, it is the consumers trust and faith in the company and its products that counts. It is celebrated on the fourth Thursday in November, and has been an annual tradition in the United States since 1863. 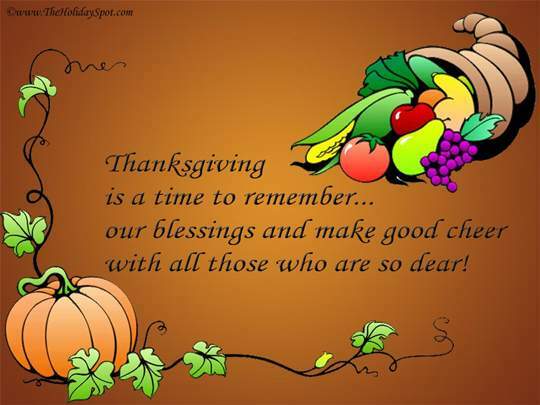 All of us at Paul Penders Company wish our customers, distributors and blog visitors a very happy Thanksgiving Day! While most people understand the importance of cleansing, hydration and sunscreen, they often overlook exfoliation in their skin care regimen. Exfoliation can bring a fresh, youthful look to your skin and will help prevent blemishes. The key is to perform the exfoliation properly. What is exfoliation? Exfoliation is defined as the removal of the oldest dead skin cells or dry skin cells on the skin’s outermost surface. There are two types of exfoliation: Chemical exfoliation and Physical exfoliation. Chemical exfoliator does not necessarily have to be harmful ingredient, it can be made with ingredients such as AHAs (Alpha-hydroxy acids) or enzymes. AHAs are a group of organic carboxylic compounds. AHAs most commonly used in cosmetic applications are typically derived from food products including lactic acid (from sour milk), tartaric acid (from grape wine), glycolic acid (from sugar cane), citric acid (from citrus fruits) and malic acid (from apples). 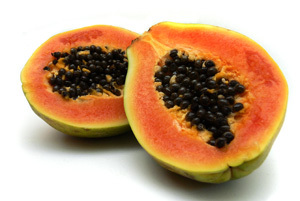 Enzymes are created from fruit such as carica papaya. They work differently to acids; instead of penetrating the dermis, they digest any debris, such as dead proteins or excess sebum, on the surface of the skin. Physical exfoliators have granules to agitate the surface of the skin and remove dead skin cells. Physical exfoliation is not recommended for the face as the granules in physical scrubs can grind the dirt further into the skin and potentially damage pores. However, it is great on the body, especially for controlling hormonal acne on the chest and back. 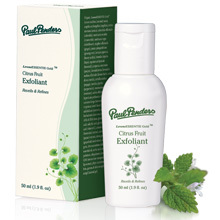 We have the Citrus Fruit Exfoliatant in the Paul Penders’ skincare product range. Regular use of this non-abrasive herbal exfoliant will reveal soft, fresh, healthier-looking skin. It is formulated with natural alpha and beta hydroxy acids that gently remove the outer layer of dead skin cells, this all-natural exfoliant will unclog pores and sweep away dead skin cells, leaving the skin softer and clearer than ever before. It is not only specially created to work synergistically with the natural whitening effect of Paul Penders AquaLuna and Intensive Clarifying Therapy, but it is also suitable for all skin types. At Paul Penders Company we like to get response from our customers. Now and then, we receive an email we simply have to bring on the blog! This email from Susan in Singapore is one of them. At Paul Penders we are no different from others when it comes to being flattered: We like it! I am a longtime user of Paul Penders’ products. I just want to tell you that your company’s stance on always using clean, natural organic ingredients is exactly the reason why I am using the Paul Penders brand. all over the world. In fact, you are the one company I have always admired because your reputation is so extraordinary. 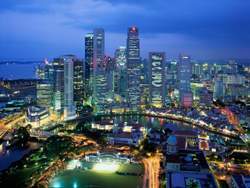 You may also like to know I received a very excited call from an American friend and therapist in Singapore keen to share the news that your products were being retailed there.